My one hundred forty-sixth podcast is up! Reading progress update: I've read 224 out of 224 pages. I woke up in the middle of the night, and to get to sleep I decided to start another Lew Archer novel. Fortunately I was able to get back to sleep after doing so, but when I woke up again I spent every moment I could spare to finish it. It's a great read, in part because it captures Ross Macdonald's writing at an interesting moment, where he has his character-centric approach well developed, but still before he's adopted the introduction to the cases that became so formulaic later on. Perhaps this is why I enjoyed the book as much as I did. When the Third Reich went to war against the Soviet Union in 1941, they did not do so alone. Their campaign was a multinational effort to which several of Germany's allies contributed contingents of varying sizes. One of the most enthusiastic participants to this effort was Spain, which supplied a division of infantry. Officially incorporated into the German army as the 250th Infantry Division, it was called the Blue Division after the blue shirts the fascist Falangist volunteers sported. Its members served on the Eastern Front for over two years, until the need to distance his country from the increasing likelihood of Germany's defeat led Spain's leader, Francisco Franco, to order their withdraw in the autumn of 1943, though volunteers continued to serve in German units until the end of the war. As an aspect of the larger European effort against the Soviet Union in the Second World War the Blue Division justifies a study that evaluates its contribution to the campaign within the context of Spain's informal engagement with the conflict. Unfortunately this is not what Gerald Kleinfeld and Lewis Tambs provide in this book. 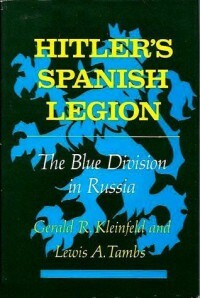 Instead of offering readers a systematic analysis that evaluates the combat performance of the division or considers their activities within the context of German-Spanish relations the two authors provide only a basic narrative of the unit's combat operations, one that romanticizes the Spaniards' effort and relies too much on national stereotypes to explain their behavior. While many readers will no doubt be entertained by the stories of guripas engaging snipers and bravely withstanding Soviet attacks it contains, overall the book disappoints as a history of the division's performance or an assessment of its role in the war, and is worth reading only for the lack of a better English-language book on the subject. To be honest, I can live with the minor factual errors in Frank Schätzing's book as well as with the grammatical ones that emerged in the translation. I'm even fine with his one-dimensional portrayal of Americans as a bunch of God-fearing, trigger-happy yahoos who think that the only solution to any problem is to kill it, because it's not as though there aren't any examples in recent memory to support such a depiction. But I just can't accept writing that is as poorly done as it is in this book. 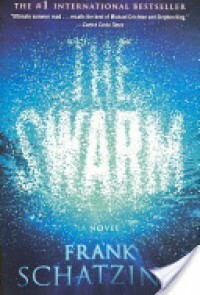 It reads too much like a novelization of a TV miniseries rather than a true novel, as instead of developing a plot or nuanced characters Schätzing prefers to take his readers from set action sequence to set action sequence. Too many of them read like scenes from the sort of CGI-driven disaster movies that Hollywood has churned out over the past quarter-century, something that the author underscores by his characters' frequent references to them. The silver lining is that it's all blessedly skimable, as the lack of depth allows the reader to skip through the pages like a rock bouncing off of a lake — or perhaps the best advice is to just skip reading it altogether. My latest podcast is up on the New Books Network website! 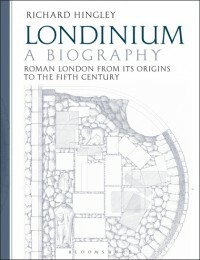 In it, I interview Richard Hingley about his archaeologically-based history of Roman London. Enjoy! Reading progress update: I've read 219 out of 881 pages. 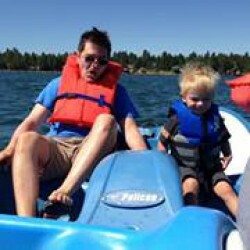 Last year my good friend with whom I read sci-fi novels moved to Portland. We still read novels together, but we don't read as many of them as we used to and discussing them over the phone isn't the same as doing so in person. But he will be in town later this month, and he proposed that we read this "#1 INTERNATIONAL BESTSELLER", as it was recommended to him by someone he knows. So I started reading it this morning and so far I'm finding it to be . . . not good. It reads too much like a novelization of a miniseries rather than a true novel, with the focus on describing actions rather than developing a plot or nuanced characters. This wouldn't be so bad, but so far it's proving to be so damn predictable. The silver lining is that it's eminently skimmable, so I won't lose too much time reading it -- but I have got to find us better books to read than this! Amidst the heartbreaking coverage of the fire at Notre Dame cathedral, I almost missed the announcement of the 2019 Pulitzer Prizes. As usual, most of the attention has been toward the journalism awards (and perhaps a bit more so this year, given that our presidunce has set himself against anyone who exposes the truth about him), but of course there were the also the book prizes, the nonfiction winners I always look forward to seeing. 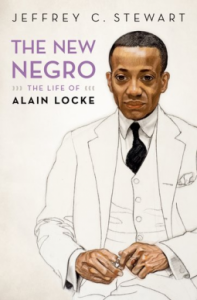 And among this year's winners was Jeffrey Stewart for his biography of Alain Locke. I cannot tell you the feeling of pride that I felt when I saw that he had won. This wasn't because I had anything to do with its genesis, production, or publication, of course, but because I interviewed him last year for a NBN podcast. Seeing his book receive the recognition it so richly deserves leaves me feeling like someone who purchased an artwork before the artist became famous, or discovering a local restaurant before it received its Michelin star. And while I claim zero credit for all of the acclaim that he has received for his book, I do like to think that I helped bring some attention to a book that truly deserved it. Now I have to decide whether I am going to buy a copy of David Blight's Frederick Douglass biography, given that just about every library I know has a copy of it. My one hundred forty-fourth podcast is up! My latest podcast is up on the New Books Network website! 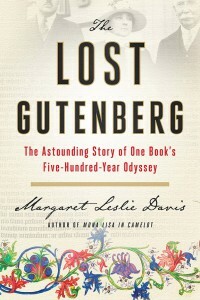 In it, I interview Margaret Leslie Davis about her history of one of the most sought-after books in the world and the people who have owned it over the past two centuries. Enjoy! From Benito Mussolini to Adolf Hitler, the 1930s was the heyday of right-wing dictatorships in Europe. Yet none of them proved as enduring as that of Francisco Franco. From the triumph of his Nationalist forces in 1939 until his death in 1975 Franco dominated Spain, guiding it from years of war and scarcity through the tumultuous economic and social changes of the postwar era. Such a figure deserves a through and penetrating study of his life set within the context of his times, and Paul Preston provides his readers with just such a book. Preston's presentation of Franco's life within its pages can be divided into four periods. 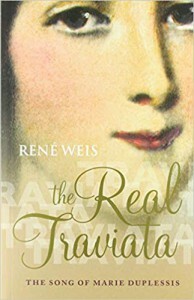 The first covers his early years, from his childhood in Galicia to the start of the Spanish Civil War. The scion of a family of naval officers, Franco was destined for the sea until Span traumatizing defeat at the hands of the United States in 1898 curtailed his options. Instead Franco opted for a career in the army, where his discipline and his organizational skills ensured in a meteoric rise. Preston pays particular attention to Franco's service in Morocco during the drawn out Rif War, arguing that it was here where Franco's approach towards governance — one in which obedience was to be compelled with force rather than cultivated through building consensus — first developed. With Spanish politics veering from monarchy through dictatorship and republicanism, it was one that would increasingly appear to be the only solution to Spain's problems. Nevertheless, Preston notes that despite his burgeoning right-wing political views, Franco was willing to reconcile with the Republic provided that he continue to be appointed to the positions he felt he deserved. Yet even after he was relegated to the command of the Canary Islands Franco hesitated to join the emerging conspiracy against the newly-elected left-wing government, only committing to the cause at the last minute. This brings Preston to the second part of his book, which chronicles Franco's role in the Spanish Civil War. Here Franco waged campaigns on several fronts, fighting the Republicans militarily while gradually cementing his control over the Nationalists and ensuring his emergence as the dominant leader at the end. Though Franco had opportunities to win the war more quickly than he did, Preston shows how Franco pursued his meticulous approach both to give himself time to cement his control over the disparate Nationalist factions and to purge the Republican regions conquered by his forces. For Franco, the civil war was nothing less than an ideological crusade for his vision of Spain, one that he would spend the rest of his life trying to preserve. Achieving his vision of Spain, though, required navigating a variety of international challenges, most immediately those created by the Second World War. This part of Preston's book is in many way the most revelatory, as he goes to considerable lengths to debunk the postwar myths perpetuated by Franco and his regime. Rather than carefully hewing to a course of neutrality in the conflict as he subsequently claimed, Preston shows Franco as an eager ally of Germany and Italy, to the point where Franco offered in 1940 to join the war on the Axis side. Franco's mercenary interests, however, alienated Adolf Hitler, who prioritized Vichy France's compliance over the Spanish participation that Franco offered in return for France's empire in North Africa. Even as Franco's interest in joining the war waned he continued to offer the Germans considerable support, which ranged from auding U-boat operations to providing thousands of volunteers for Germany's campaigns against the Soviet Union. Well after the Allied invasion of Normandy Franco's preference for a German victory endured, even as he pivoted to court the Allies. With the end of the war Franco scrambled to adapt to the postwar environment. 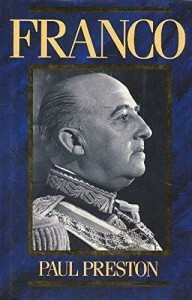 This serves as the final period covered in Preston's book, as it shows how Franco gradually adjusted to the realities of the world now before him. Here he was aided by the nascent Cold War, which helped transform Spain from a pariah to a useful ally for the United States against the Soviets. But Franco was also forced to adjust in the 1950s to the economic realities before him by abandoning the autarkic policies advocated by his Falangist allies and embracing the economic liberalization urged by the more technocratic members of his government. While Spain prospered over the course of the 1960s, Preston sees Franco as more of an obstacle than an enabler here, noting that resignations and transfers of power back to a monarchist system earlier would have opened up more of the international aid opportunities that Spain so badly needed. Yet Franco proved reluctant to give up control of Spain, a reluctance that was borne out when within two years of his death Spain rejected the undemocratic regime he preferred in favor of the parliamentary democracy that endures to the present day. In this respect, Franco's greatest achievement lay not in the Spain he tried to create but in his own ability to endure. Preston succeeds in showing how Franco survived in a world moving past him. While the reader can get burdened down in the later chapters with the details of cabinet formation and the jockeying of various family members, overall his book is a masterpiece of biography. From it emerges a portrait of a man vainly holding back the forces of change in Spain, yet one who managed to hold on to his own position to the very end. To understand his ability to do this and why he failed in his broader effort to reshape Spain to conform to his vision for it, Preston's book is necessary reading. So I tracked down a copy . 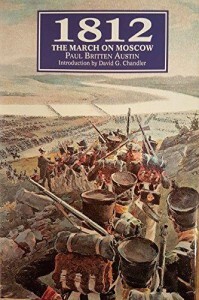 . .
As I explained in a recent post, I've been thinking lately about reading Paul Britten Austin's trilogy about Napoleon's invasion of Russia. Remembering that one of the volumes was available for sale as one of my local bookstores, I trekked there today to begin the acquisition process. Sure enough, the copy of volume 3 was still sitting on the shelf. I snapped it up and proceeded to the register. As I did so, though, I opened it up and began reading a page at random. And then I remembered why I had passed on reading this series in the past. Because Austin's book is really just a series of paragraph-length quotes from various memoirs of the campaign's survivors, all stitched together with a few sentences moving events along. It's the kind of historical writing that I find frustratingly dull -- all narrative from others, with little in the way of analysis. So I marched back and returned the book to its shelf, because there are plenty of better books out there for me to read. 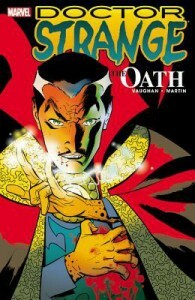 So a couple of days ago I has a sudden urge to read some Doctor Strange comics. I can't recall why exactly this came over me, as he was never one of my favorite Marvel characters. One reason for this was the magical/fantasy elements, which was never my thing, while another was the solemnity and pomposity of his characterization back then. But after having read through some other stuff I decided to give some of the more recent issues a try. After doing some research I started with Brian K. Vaughan's The Oath and I enjoyed it enormously. Then I started reading Jason Aaron's run from a few years ago and I liked his stories just as much. It's really interesting to see how much the character has changed; while no less arrogant in his decisions he's much more flawed and tortured than before. And with a recurring theme running through the issues of magic having a cost (one that is pretty much the entire lesson of The Magicians), the constraints Strange faces become a major factor in the storytelling. I intend to follow the future releases closely while working my way through the back issues, at least until I get back to the point where he was far less appealing of a character. As a regular visitor of used bookstores, there are certain titles that I often run across. Some of them are books that have enjoyed numerous reprintings for one reason or another, while others had a large initial print run and have a persistent presence because of it. And there are those which while not bestsellers have an enduring appeal that leads to copies being recycled due to their continuing demand. 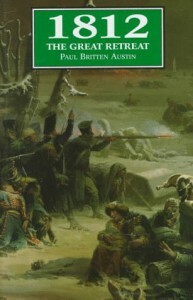 Paul Britten Austin's trilogy on Napoleon's invasion of Russia probably fits in that third category, as while it was never a New York Times bestseller it draws interested readers because of its subject matter. It's one of those titles that I think of as a "dad book," as it seems marketed towards an audience of middle-aged white dudes. Over the years when I have seen copies on the shelf I passed on them with a degree of unjustified disdain. Lately, however, the idea of purchasing a set has started to appeal to me. Part of it is likely my long attraction to multivolume works of history, with the depth of understanding they provide (not to mention how awesome they look on my bookshelves). But I also think that it's a reflection of my own evolving tastes as a reader. Perhaps now that I'm now a middle-aged white dude the books look more interesting to me than they did when I was younger. I suspect there's another factor at play, though. As I get older I'm starting to contemplate more what books I will want to own once I retire. Though that day is still many years in the future, it's something I use as a factor in deciding what to dispose of when I cull my bookshelves. But lately I also think more about what I might want to re-read once reading for pleasure becomes the primary factor in my reading decisions. This has long driven my choice of the fiction I own, and I have a choice selection of classics and sci-fi in my collection because of it. But now I think of it as well in terms of the nonfiction I may want to revisit because they're well-written narratives recounting epic adventures and fascinating people. So perhaps I'm just starting to act my age as a reader. Or maybe I'm just fabricating an excuse to buy more books. I still haven't decided yet. My latest podcast is up on the New Books Network website! 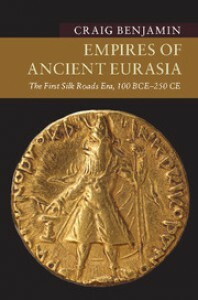 In it, I interview Craig Benjamin about his history of the emergence of the trading routes across Afro-Eurasia in the late ancient world. Enjoy! My latest podcast is up on the New Books Network! 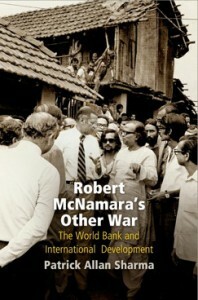 In it, I interview Patrick Sharma about his book on the transformative tenure of Robert McNamara as president of the World Bank. Enjoy! Reading progress update: I've read 506 out of 1024 pages. This is proving to be the best book I have read so far this year. Preston has a reputation for bias (something I plan on digging into once I finish this book), but I find it difficult to argue with his conclusions, perhaps because they fit so well with my own take on Franco. The biggest revelation, though, was just how pro-Axis he was, and how the supposed lengths he went to in order to maintain Spain's neutrality was a postwar pose. That discovery has changed more about how I view this period than I might have expected. If I had to pick my least favorite day of the year, it would be April Fools' Day. For one thing, I already have an overdeveloped sense of mistrust, so the last thing I need is a day which amps that up to 11. Another reason is that all of the attention paid to April Fools' Day overshadows the fact that it's also the start of National Poetry Month. A couple of years ago I committed to use the month to read more poetry, though I made the commitment at the tail end of it. Last year was even more disappointing, as I remembered about it only at the end. I blame April Fools' Day for having distracted me from it. This National Poetry Month is starting out more promisingly. 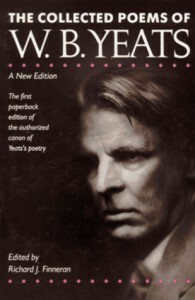 Not only did I remember it this time around (no thanks to April Fools' Day), but I even got things off to a fitting start by pulling off of my shelves my old copy of W. B. Yeats's poems. Though I haven't really read them since grad school, seeing them again brings back more than a few memories. I look forward to dipping into it again in the days to come.